Dalhousie University is a very respected institution in Canada that is based in Halifax, Nova Scotia. The institution is regularly regarded as one of the top post-secondary universities in Canada, and was founded back when Canada was still under British rule. In short, things like today's news simply don't happen at a prestigious institution like Dalhousie. But it is unfortunate that the women's hockey team has forfeited the season based upon the results of investigation into hazing that went on during a party that involved the school's women's hockey team. Honestly, I hate talking about this kind of stuff on a Friday because it ends the week on such a negative note. In any case, here's the release put out by Dalhouse University today on their website reflecting the information gathered. Initially, I wanted to know what had been done in terms of this hazing that went on, but it occurred to me that my thinking was entirely wrong on this. Curiosity is one thing, but there is something else to consider in this case and in all hazing cases: it's not up to public opinion to determine what is acceptable in these cases and what is not. "Early in the school year, we got word there was an incident at a party involving the women's hockey team and it appears to have been a hazing incident. So there was an investigation that was carried out and we interviewed the team," Charles Crosby, spokesperson for Dalhouse University, told CBC News on Thursday. The results that were found "showed that many of the team's players were 'put in harm's way' both physically and psychologically", and that the hazing itself involved "humiliation, intimidation and excessive drinking." I want to be very clear when I say that hazing with the intent to humiliate, embarrass, or injure has no place in any sport whatsoever. Filling skates with shaving cream, for example, is one of those fun pranks that teammates pull on one another with nothing more than an inconvenience for the player who was pranked. Hazing in this manner is more about fun and promoting camaraderie amongst teammates. Anything that involves humiliation, embarrassment, and/or injury should result in extreme punishment much like the ladies of the Dalhousie Varsity Women's team suffered. Dalhousie University's Department of Athletics and Recreational Services has a hazing policy that states it "does not condone the hazing or initiation of athletes and students in any form, whether such activities occur on or off the campus of Dalhousie University. "Any student athletes, team personnel or coaches encouraging, facilitating or participating in such activities may be subject to disciplinary action including immediate suspension or dismissal from the Dalhousie University varsity program and/or the university." In reading this policy, I'm quite certain this information would have been passed on and/or told to the players at some point during their Dalhousie time so that they were not putting themselves at risk of being kicked off a team or, worse, expelled from school. The fallout of this incident sees the captains of the Dalhousie team relieved of their duties for the remainder of the year. There will be no academic penalties for the players' actions and involvement in this incident, and all players still eligible to play next year will be allowed to try out for the squad. At the time of writing, Dalhousie wasn't having the best of years in the seven-team Atlantic University Sport Conference as it stood. They were last-place in the conference with a 2-8-2 record and had dropped their last six games. They were to meet fifth-place University of Prince Edward Island Panthers in Charlottetown, PEI on Saturday. UPEI had downed Dalhousie 2-1 in overtime on October 26, and again on December 1 by a 2-1 score. Regardless of scores and standings, the fact that the women of this team were found to have committed some reprehensible acts on their own teammates is quite indefensible. To see the school come out and forfeit the season after suspending 19 of 24 players is pretty harsh if you consider that some of these women may be on the radar for future Canadian hockey teams. However, I feel that supporting the five students who stepped forward shows a massive amount of courage and incredible ethical and moral responsibility which should be commended. If we want this culture of hazing in sports to change, we need to look at institutions like Dalhousie who have made tough choices by doing the right thing. What's right is not always popular, but it shows incredible character on Dalhousie University's part in teaching these students about the consequences of their actions and about being upstanding citizens. 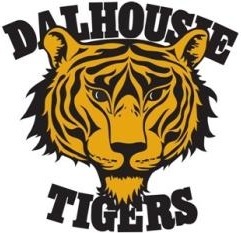 Dalhousie's motto is "Inspiring Minds", and I would hope that they will inspire many other institutions and teams to do the right thing when hazing rituals are reported. I wonder if this would have happened if Dalhousie was first place in their conference. Hazing happens in every school whether the coaches want to admit it or not. This looks like a move from Dal's coaches to save their job. Francois, I understand what you're saying, but there would have to be something extremely wrong with the coaches, the school, and the administrators to allow a fake hazing story and the forfeiture of the season to happen with none of the players speaking out about that. The fact of the matter is that none of the players have stepped forward, so that kind of silence from the players would seem to indicate that this hazing did happen.